This document describes the STSM process, from the moment an applicant submits an application for approval by the STSM coordinator to the payment and recording of the amount paid by the Grant Holder (GH) to the STSM grantee. It is necessary to separate the process in 2 parts: one describes the step to be performed before the mission starts and another the steps to be performed after the mission ends. Please visit the News section to find the STSM calls. STSM 1 - Maria Medeiros, Universidade de Coimbra (Portugal) to CNIT-National Inter-University Consortium for Telecommunications, Pisa (Italy). 1. Aim&Motivation: CNIT has a demonstration experimental setup of a fully photonic-based RF transceiver both for radar and communication operations with the capability to simultaneously work on different bands and integrating two sensing heads. Prof. Maria Medeiros is invited by Prof. Antonella Bogoni, to perform experimental work on the radar testbed. The objective is to explore the test bed functionalities is order to program future collaborative work on distributed collaborative radar sensing. 2. Proposed contribution to the scientific objectives of the Action: This work is integrated in WG2 activities (Subsystem development through IMWP for wireless communications and radar functionalities). 3. Techniques: Prof. Maria Medeiros will learn the radar testbed general operation particularly the radar received waveform processing and synchronization techniques applied for the join operation of the two sensing heads. 4. Planning: The visit will last 6 days working days. 23rd to 30th March 2018. 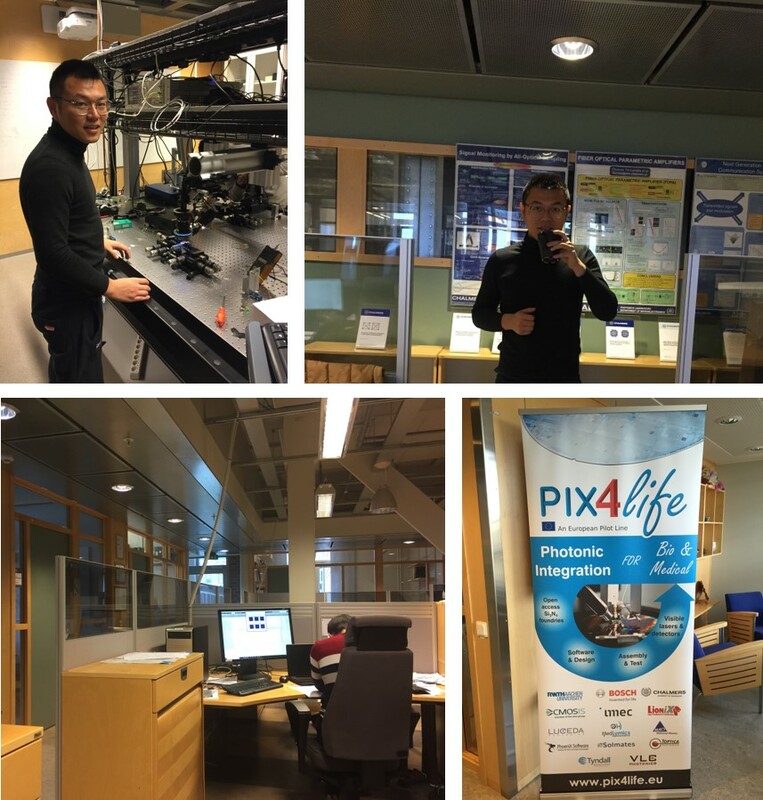 Day 1: Visit to the labs and demonstration of the general setup. Day 2, 3 Hands on experimental work. Day 4: Work discussion. Day 5: Hands on experimental work on synchronization. Day 6: Follow up discussion and planning of next work. STSM 2 - Zhongxia Simon He, Chalmers University of Technology, Göteborg (Sweden) to CNIT-National Inter-University Consortium for Telecommunications, Pisa (Italy). 1. Motivation: CNIT has a unique fiberoptic based radar system operates at S band with 20 MHz bandwidth. Dr. He is invited by Prof. Bogoni to perform experiment on that radar testbed, so the result can be used to compare with full electrical radar implementataion. Dr. He is organizing a short course at the flagship conference IEEE microwave symposium 2018. The course topic is "Using active fiber optic for distributed antenna system (DAS) system in 5G mimo system and automobile radar system". Prof. Bogoni would give a talk in my course. This course covers both telecom (5G) and automotive applications which is in line with this COST action. Dr. He and Prof. Bogoni would take this chance to present the result of the experiment. 3. Technique: Dr. He will perform experiment on CNIT radar testbed, using novel radar waveform to improve radar resolution under limited bandwidth. This trip also including general visit to CNIT and detailed course planning. This would open future technical cooperation as well as student exchange in the future. 4. Planning: The visit lasting 6 days: 1 day general Visit CNIT, including lab tour, 3 days experiment with radar testbed 2 days summerize the result and follow up discussion. STSM 3 - Catia Pinho, from Universidade de Aveiro (Portugal) to Universitat Politècnica de Valéncia (Spain). 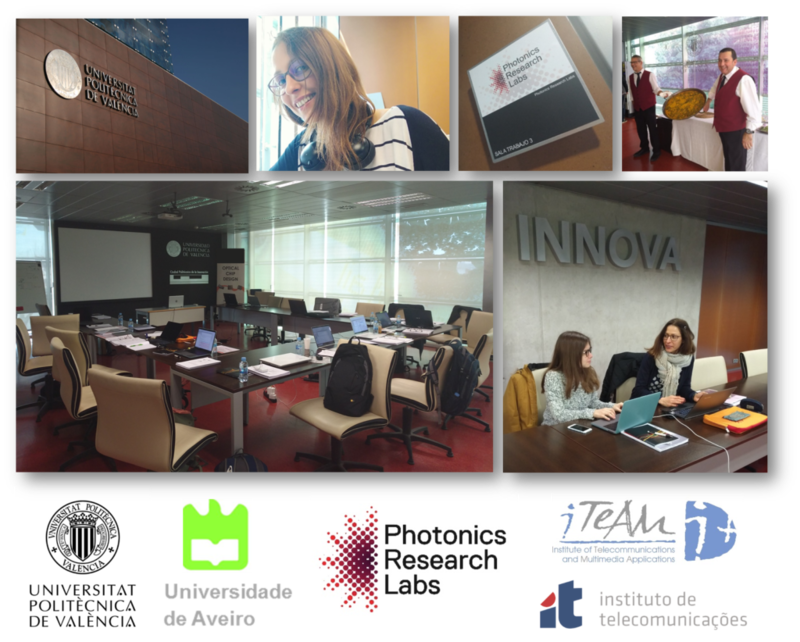 Catia Pinho, a PhD student from the Instituto de Telecomunicações, Universidade de Aveiro (Portugal) has spent 17 days in the Universitat Politècnica de València (Spain), working under the supervision of Prof. Pascual Muñoz in Photonic Integrated Circuits, Photonics Research Labs. During her STSM she worked on the design of photonic integrated circuits (PIC) for silicon nitride technologies and promoted current/future collaboration(s) between the two research groups. STSM 4 - Matthias Steeg, from University of Duisburg-Essen (UDE, Germany) to University of Cyprus (Cyprus). STSM 5 - Jan Bohata, from Czech Technical University in Prague (Czech Republic) to Universitat Politècnica de Valéncia (Spain). 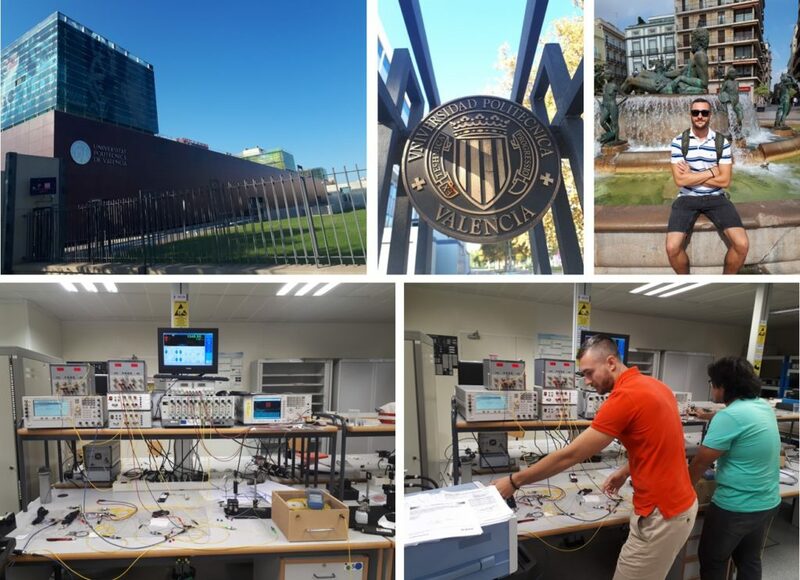 Jan Bohata, a postdoc researcher from Czech Technical University in Prague, Faculty of electrical engineering (Czech Republic), made a stay in the Universitat Politècnica de València (Spain), under the supervision of Prof. Beatriz Ortega, aiming to advanced methods in microwave photonics. During his mission, he worked on deployment of a free space optics (FSO) system in a microwave photonic link togehter with implementation of photonic mm-wave generation for frequency bands considered in 5G networks. STSM 7 - Dr Salim Faci from Le Conservatoire des Arts et Métiers, Paris (France) to the University of Kent (UK). 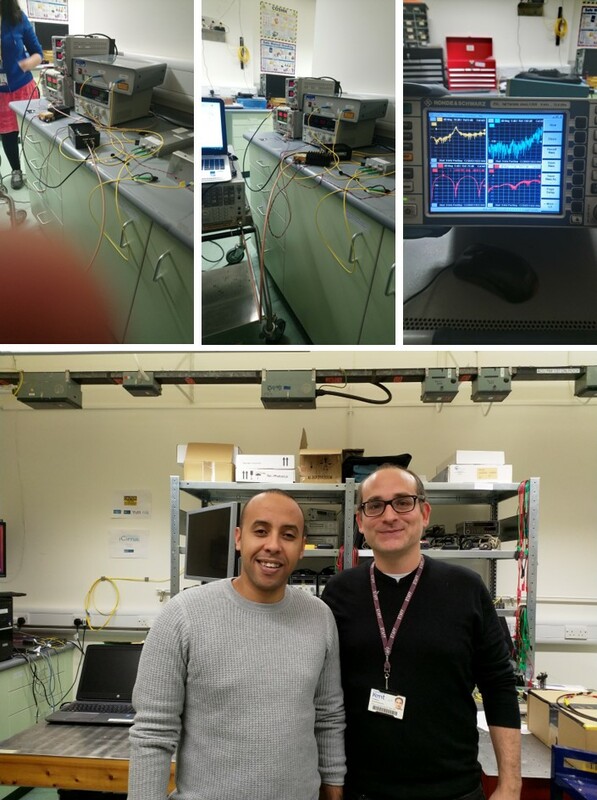 Dr. Salim FACI, an associate professor from Le Conservatoire National des Arts et Métiers, Paris (France), visited Prof. Nathan Gomes and his team in the University of Kent, Canterbury (UK) from 12th to 16th November 2018 with the purpose of evaluation of radio over fiber performances for 5G fronthaul applications based on phase modulation and coherent detection. During this STSM, silicone photonic integrated circuits were defined as a potential solution for such analogue photonic systems. Future collaboration between the two intuitions was engaged on this way. Rui Min, a pre doctor researcher from ITEAM, Universitat Politècnica de València (Spain), made a stay in the Chalmers University of Technology (Sweden), under the supervision of Prof. Victor Torres Company, aiming to investigate the thermo-optic control of silicon rich silicon nitride high Q microresonators and microresonator frequency comb generation. During his mission, he worked on measure the thermo optics speed of silicon rich silicon nitride microresonators. STSM 9 - Cátia Pinho, from Universidade de Aveiro (Portugal) to Universitat Politècnica de València (Spain). 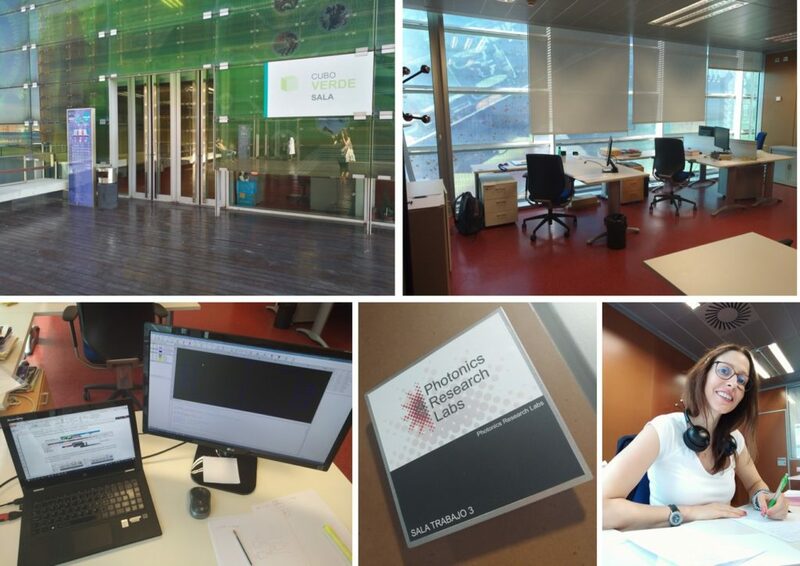 Catia Pinho, a Ph.D. candidate from the Instituto de Telecomunicações, Universidade de Aveiro (Portugal) has spent two weeks in the Universitat Politècnica de València (Spain), working under the supervision of Prof. Pascual Muñoz in Photonic Integrated Circuits, Photonics Research Labs. During her STSM she worked on the design structure optimization of photonic integrated circuits (PIC) for silicon nitride technologies (to continue/conclude the work started in the first STSM). Furthermore, current/future collaboration(s) between the two research groups were also strengthened.